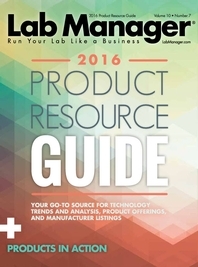 A guide to selecting a GC system and peripherals for your lab. What do you require in terms of cycle time, enhanced operator benefits, increased productivity, and flexibility for specific applications? What differentiates the vendor’s GC system from others offered, in terms of performance? Has the data processing software been designed for enhanced analytics, with workflow in mind and does it support critical compliance requirements? What are important price points to keep in mind when selecting a GC system? What does the company offer in your location in terms of effective distribution of instruments, spare parts, education, and service personnel? Is the company able to assist in managing your lab’s assets? Is there a guarantee on the performance of the system? For how long is that guarantee valid? Does the system have the ability to continually check for leaks when hydrogen is used and is that sensor calibrated? Does the company have knowledge specific to your application? Is it easy to share methods with colleagues in different locations? What GC Detector Is In Your Lab?